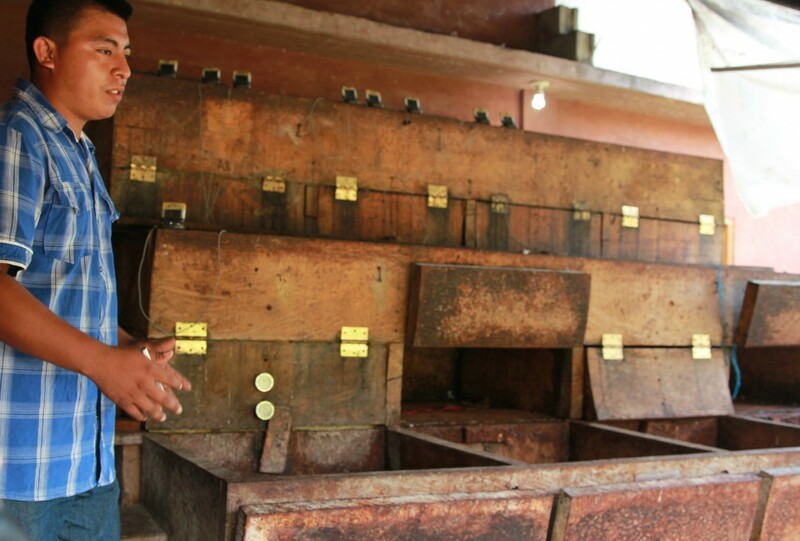 Samuel, Maya Mountain’s former cacao house manager, explaining the fermentation process. Source: Maya Mountain Cacao, Ltd.
Exporter: Maya Mountain Cacao, Ltd.
Maya Mountain Cacao Ltd. (MMC) is the first project from Uncommon Cacao, an impact-driven cocoa sourcing enterprise that focuses on transparency, quality, and relationships throughout the cocoa supply chain. We’ve been buying beans from MMC since 2013, and it was the first place we chose to bring customers on one of our Chocolate Trips. Every year our relationship with MMC deepens and evolves, and we’re excited to continue growing with them. By focusing on improving the quality of cocoa beans in southern Belize through working directly with farmers and centralizing fermentation, MMC has helped to put Belize on the map of craft chocolate makers everywhere. And with that success has come a huge learning curve in expansion. Comparatively, Belize is a relatively small global producer of cocoa and had become all but completely stagnant until the international specialty cacao market emerged around 2006. MMC established itself by creating a more reliable and consistent opportunity for small-scale cacao growers in Belize to sell their freshly harvested beans and focus on techniques for consistency and quality improvement. 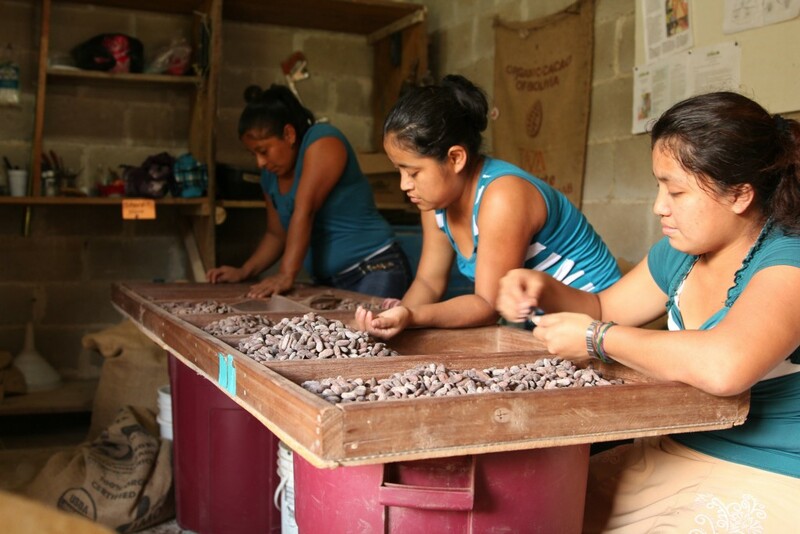 MMC works to connect the craft chocolate market to these producers and their beans. Before MMC arrived, their model was unfamiliar in Belize where producers were accustomed to fermenting and drying their own beans. By contrast, MMC offered a higher price for freshly harvested wet beans in order to take them back to a centralized fermentary where they could control consistency and quality more effectively. It took some time before producers in the area acclimated to this new system, but after proving their loyalty to the families in the region, MMC became an enticing partner to many farmers who were freed of the responsibility for fermenting and drying in the tropics. Because MMC was able to improve quality and consistency, and market the beans to craft chocolate makers who cared deeply about responsible sourcing as well as good flavor, those beans fetched a premium price that continues to empower MMC to pay farmers more for their harvest. After some years in the area, more companies with a seemingly similar model have popped up in Belize, creating more competition for MMC. The integrity and longevity of these other businesses is dubious, but the competitive price they offer for beans has compelled MMC to diversify their long-term strategy. In 2016, MMC decided to set and guarantee a steady price for farmers for each harvest, regardless of price fluctuations from other buyers, allowing them to remain a loyal partner in the cocoa supply chain. One of our chocolate makers, Elman Cabrera, visited MMC during their annual Farmers Meeting early in 2017 when they made this pledge. 2016 was the year MMC was able to finish construction on their new processing facilities, expanding their fermentation and drying facilities and moving them away from the swampy climate of the Moho River to a drier, much more accessible area. In 2015, we invested in MMC to help finance this move, and to help secure a supply of beans for the years to come. 2016 also marked a successful, albeit small, first harvest of their demonstration farm. This farm serves as an educational space for producers to learn best practices and receive technical support. It is also a place for MMC management to experiment with grafting, shade and sun strategy and genetic monitoring. With only 5 permanent and 19 seasonal employees, MMC is an incredibly hard-working team, dedicated to building a sustainable cacao industry in southern Belize. Growth is nothing new for MMC but, amidst the storm they’ve faced, they’ve shown tremendous resilience in learning from their experiences in order to move forward.